I’m Jaime Miller, the owner of English Success Academy. 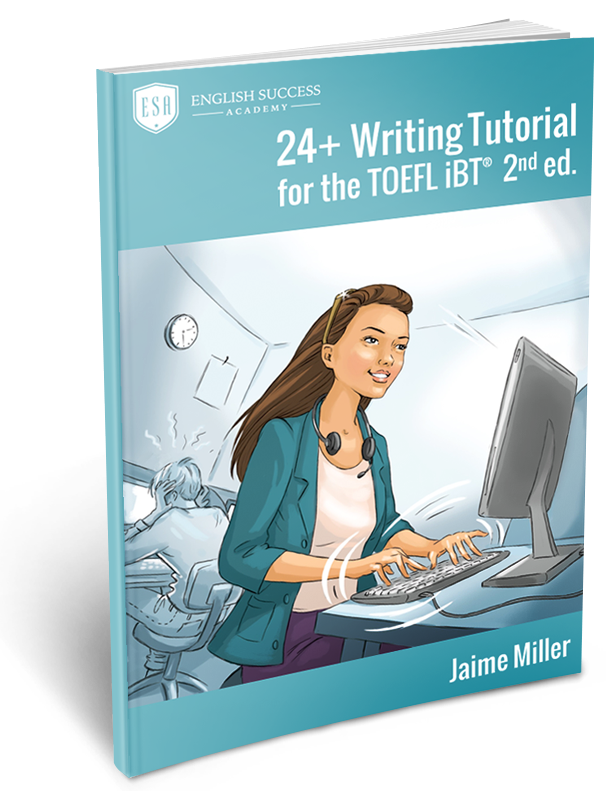 I’ve been teaching online TOEFL iBT lessons and classes since 2010. A lot of students ask, “How much are lessons?” but other questions are equally — if not more — important. Why? Because after you actually get the Speaking 26 that you need, your life and your career will change. Your TOEFL score will open a door. At that point, it will have been worth it to invest whatever time, energy or money you needed to. Before you decide on any TOEFL iBT classes or lessons, I suggest that you interview 3-5 tutors and schools. Ask all of them the following questions. Write down their answers. Compare. Then make your decision. You can see my answers to these questions below. You need to know, like and trust the teacher or tutor who is going to guide you for TOEFL iBT. You may have a long-term partnership together. Although some of my students finish studying in just 4-6 weeks, it is actually pretty rare. It is very common for students to study for 8-12 months in order to develop the level of English that gets advanced scores (Reading 27+ Listening 26+ Speaking 26+ Writing 25+). This is the reason why I offer free consultations to students who are considering enrolling in my class or private lessons. In a free consultation, I can meet with you in Zoom (a digital video conference program) and we can meet and talk with each other. Alternatively, if you’re close by, you can come to my office in Sacramento, California. This is a controversial question. 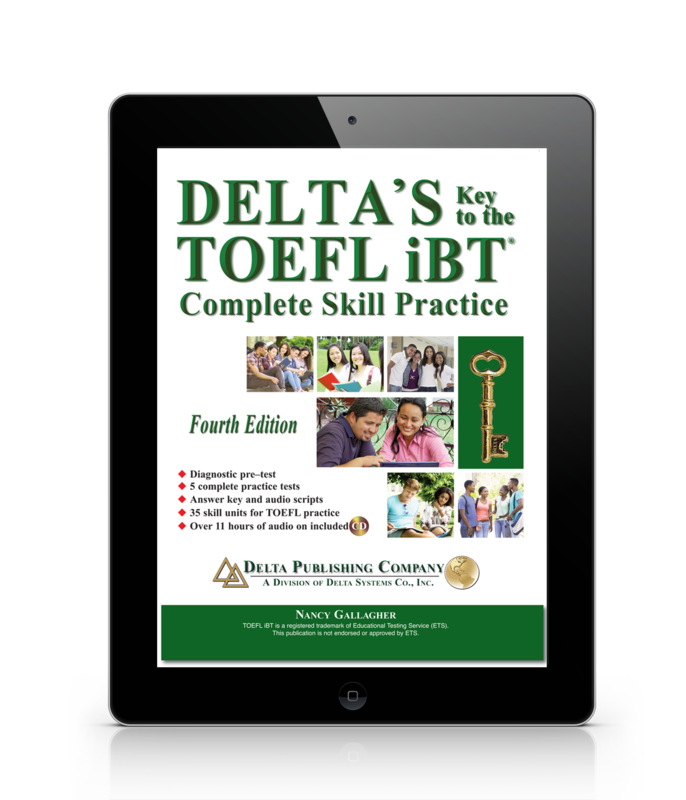 Many teachers who give TOEFL iBT lessons never took the test officially. I myself tutored TOEFL iBT for a couple years before I actually registered. Even though I hadn’t taken the test yet, I was still able to guide my students to get Speaking 26 or Writing 24. Does the teacher really need to take TOEFL iBT? 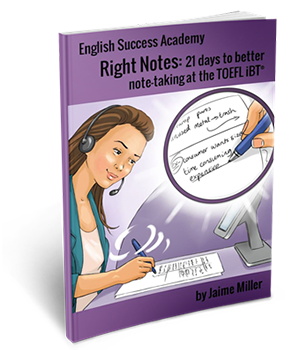 I felt the quality of advice I give improved after I took TOEFL iBT. I know what it’s like to pay $205 of my own money to register, get sick from stress, wake up early on a Saturday, sit in that awkward waiting room, have my photo taken, empty my pockets, and feel exactly how strange and uncomfortable it is to give 6 responses during the TOEFL iBT Speaking test. These are my most recent results from TOEFL iBT. I scored 120/120. If you haven’t done it yet, I encourage you to read some of my Success Stories. 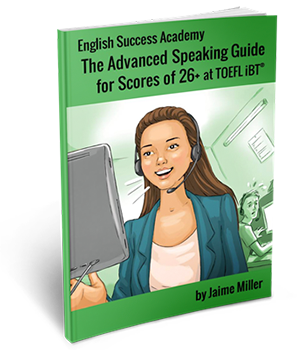 My specialty is Speaking 26 on TOEFL iBT. I work with pharmacists, physical therapists, nurses and ambitious professionals who are applying to LLM’s, MBA’s and PhD’s. I’ve taught students from over 30 accent groups (and more countries). If you bring the energy, motivation and willingness, I know how to guide you. Because there are no regulations in the ESL / TOEFL iBT industry, there is a lot of variety in the types of TOEFL classes that you could enroll in. Is the focus general preparation for TOEFL iBT? Is the focus specifically how to score Speaking 26? You should ask to see the schedule of what you’ll be learning, on which days. You need to know what the focus is going to be. If you study with me, we’ll follow a process called “The ESA Method.” The goal of The ESA Method is to develop your English to the level where you can score Speaking 26 on TOEFL iBT. If you want to start studying with me, you would register for “The 12 Essential Topics.” Each of the 12 classes is specifically designed to build a strong foundation and then help you climb higher. Also, because it’s a legal document, it should be public knowledge. You should read it before you pay. Compare 3-5 tutors and schools. You’ll be in a great position to make a decision after you collect the answers to those questions from another 2-4 tutors and schools. It’s good if you feel confident and optimistic about your tutor. That feeling of motivation matters a lot. If you’d like to interview me, click the green button below.